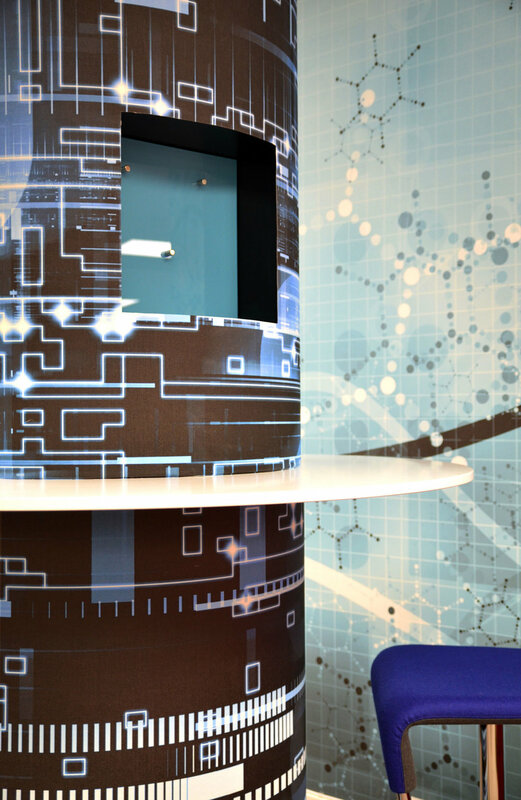 For Teleplan Consulting FabLab renovated rooms and redecorated them in neutral tones. 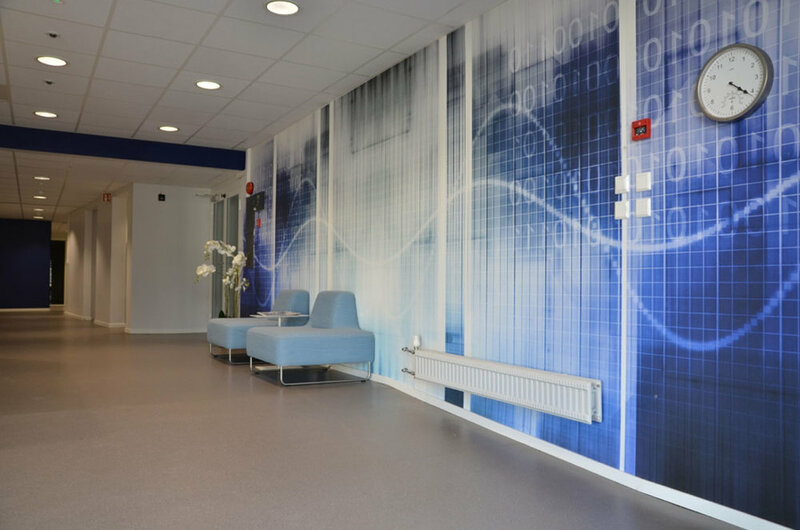 We gave the premises a visual boost, including the ‘little extras’ that provide a sense of the organisation´s brand, and which inspires work. FabLab chose to upgrade some elements that functioned poorly: a large concrete pillar in the middle of the open office landscape and a small meeting room that was too secluded. 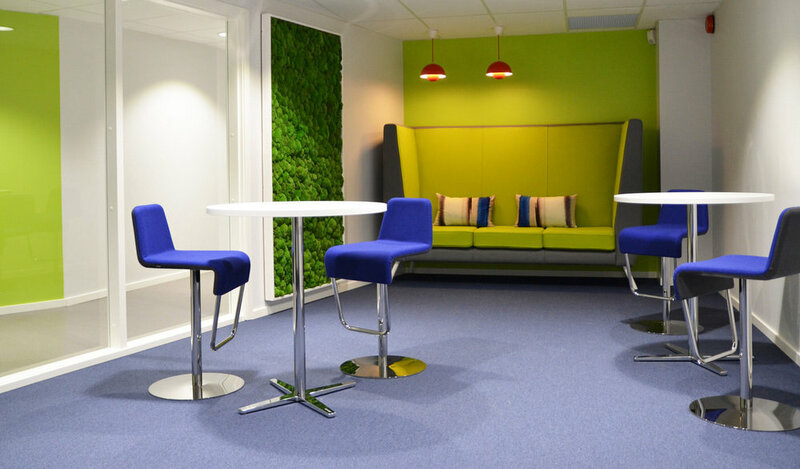 The use of round shapes and a lounge area converted the area around the column into a popular meeting place for employees. 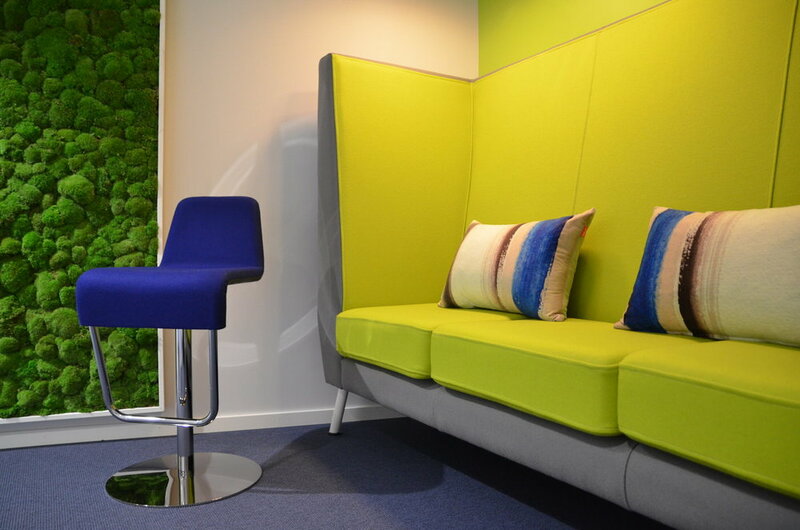 The meeting room was transformed into an inspirational room, with a magnetic wall, a tall table and a sofa set. A green oasis for fresh ideas. 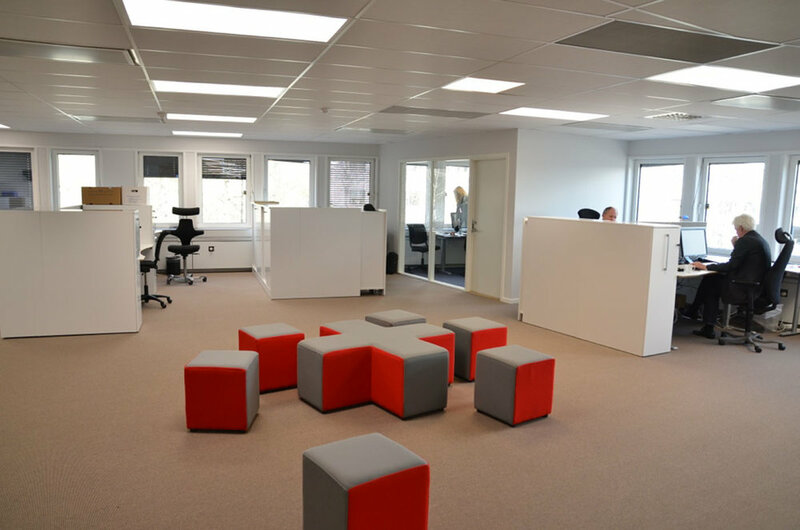 The areas that formerly did nott work, are now among Teleplan´s most used rooms!